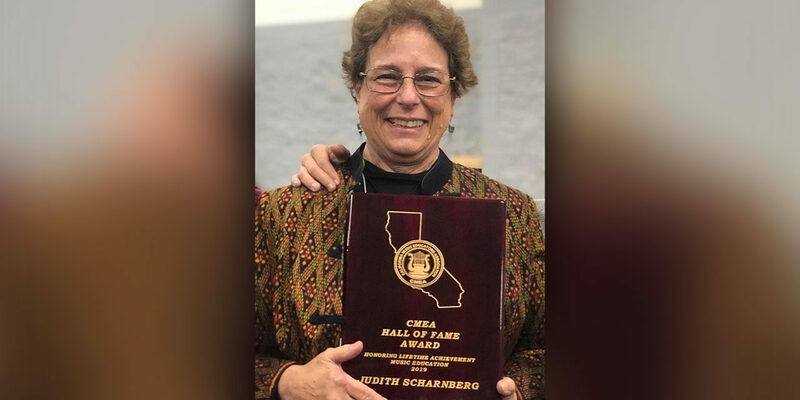 Judith Scharnberg, a retired music teacher from the Fortuna Elementary School District, was recently inducted to the California Music Education Association (CMEA) Hall of Fame, honoring a lifetime achievement in music education. This is the highest award given by the CMEA. 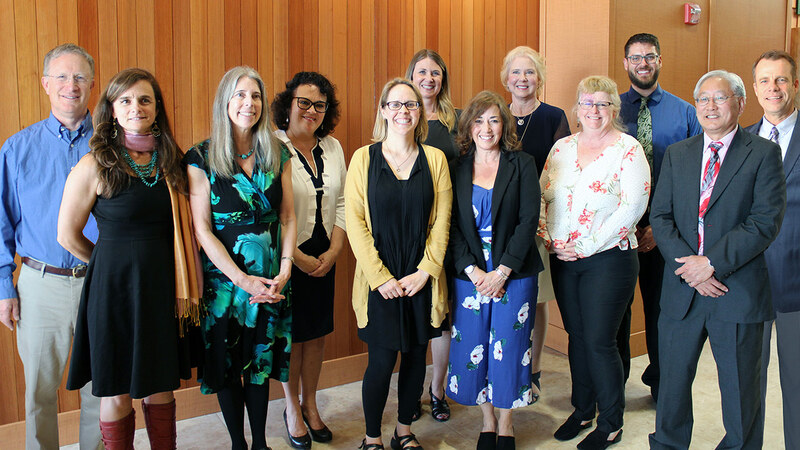 Judi has been a music teacher for over forty years working abroad in Canada, Israel, Thailand, and throughout the U.S. in Massachusetts, New York, Maryland, and New Mexico. 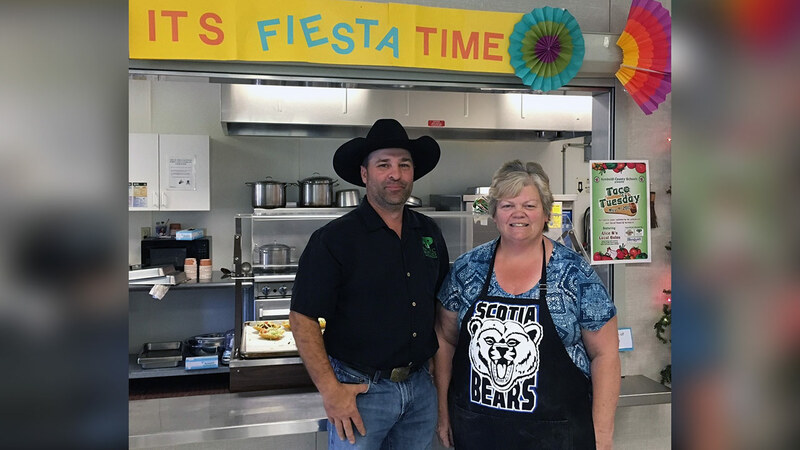 For the last nineteen years, she has taught in Fortuna and calls Humboldt County her home. She is a graduate of State University of New York – Potsdam, where she received her BA in Music Education, Harvard University for a Masters of Arts in Teaching Humanities and an Orff Certification from University of Denver. Ms. Scharnberg has the most fun when making music with young people. While teaching in Rohnerville Schools, she directed a fifth grade musical each year based on American history curriculum, in which every student participated. After school, ensembles frequently performed in the community and her performing groups consistently received ratings of excellent and superior. 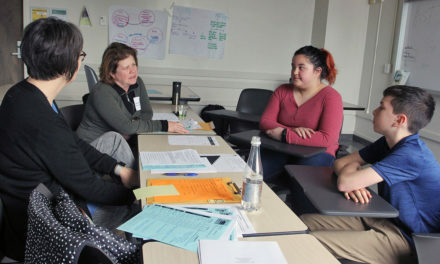 She has mentored over half a dozen student teachers and several teachers in their first years as part of the Beginning Teacher Support program. 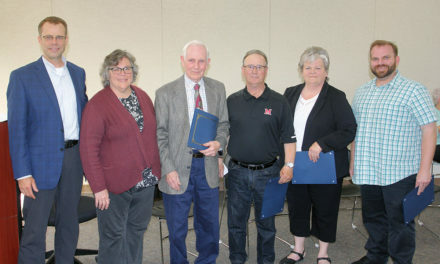 In addition, Ms. Scharnberg has served as festival organizer and adjudicator, held many North Coast Section offices, including Section President for four years, as well as offices for the Rohnerville schoolteachers association. She presented at the CMEA State Music Education Conference on “Music and the Brain” this year, in addition to receiving her honor.